American triathlete known for winning 13 straight World Triathlon Series competitions in 2014 and 2015. She's represented her country at the 2012 Olympics and was named to the 2016 Rio team. After graduating from the University of Wisconsin, where she was a college athlete, she became a CPA and worked as an accountant. 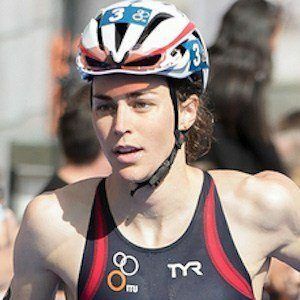 She joined USA Triathlon in 2010. She won gold medals at the 2014 and 2015 ITU Triathlon World Championships. She was named the 2014 ITU Female Athlete of the Year. She's competed against Helen Jenkins in her career.